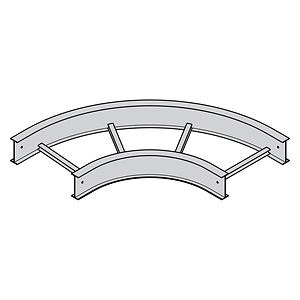 B-Line KwikSplice™ 90-degree Horizontal bend is perfect for use with KwikSplice™ 18-Inch wide cable trays. This horizontal tee of radius 12-inches, has side rail of height 4-inches. It includes 2-pair splice plates with hardware.